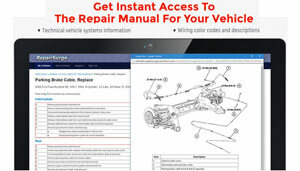 Mitsubishi is a company that does so much more than manufacturer automobiles. This worldwide giant started in the shipping business many years ago by Yataro Iwasaki. He was actually a descendant of samurais and opened the doors to Mitsubishi in he 1870s. The name Mitsubishi is actually a Japanese word that means three diamonds which is evident in the company logo. Don’t worry we will get to the Mitsubishi brochures and sales literature in a bit. Not only was Mitsubishi into shipping they also branched into ship repair and mining. It wasn’t until 1917 when Mitsubishi first ventured in to the automobile business. 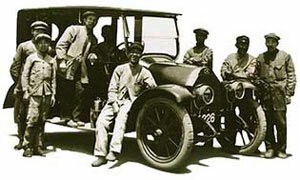 Mitsubishi proudly introduced their first automobile know as the Model A which was Japan’s first production automobile. The Mitsubishi Model A was completely hand-built and was discontinued in 1921 after building a total of 22 vehicles. Sorry to say, but we don’t have any Mitsubishi brochures or literature from this time period, but we are always searching. Mitsubishi was involved in many other industries, but once again entered the automobile-manufacturing arena in 1934 when they introduced the Mitsubishi PX33. This four-wheel drive passenger car was primarily built for military use, but it was quite a nice looking car for the day. The PX33 was powered by a 6.7-liter direct injection diesel engine. It’s not from Mitsubishi brochures, but you can see what I mean by looking at the picture shown here. 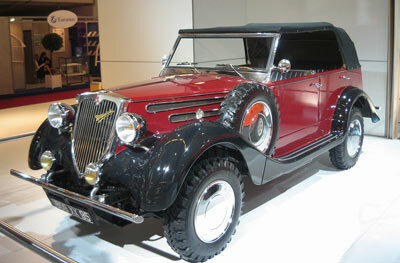 Sadly the Mitsubishi PX33 was cancelled in 1937. Mitsubishi focused on domestic utility vehicles and buses until 1960 when they decided to go after the passenger car market. The Mitsubishi 500 was the first large-scale production car for the company, but Mitsubishi brochures and sales booklets are hard to find. Like so many other automakers Mitsubishi made a name for the company when they ventured into racing. They won several honors in the Japanese Grand Prix, which helped them launch their automobiles. During the 1960s the company also introduced the Mitsubishi 360 pickup and 360 van, both light passenger vehicles. Mitsubishi Motors Corporation was officially formed in 1970 and in 1971 the company entered the American market in a joint venture with the Chrysler Corporation. The Mitsubishi Colt was introduced, but it was brought to the American car buyer as a Dodge Colt since Chrysler had owned 15% of Mitsubishi Motors at the time. However that does not mean Mitsubishi brochures and literature was plentiful. With this new market for passenger vehicles Mitsubishi was producing over one million cars a year by the end of the decade. Finally in 1982 Mitsubishi started selling cars in the United States under the Mitsubishi Motors Company name. Throughout the decade Mitsubishi launched several models including the Mirage, Galant and Starion Sports Car. Mitsubishi really took off the 1990s when they continued to offer cars like the Eclipse, 3000GT and the Lancer. This is when the Mitsubishi brochures were starting to become available for their offerings. Mitsubishi setup production facilities in the United States in order to handle the demand for their vehicles. That meant Mitsubishi brochures and sales literature was available. Chrysler was still involved in the company and Mitsubishi built many chassis’ and components of the Chrysler vehicles. However Chrysler went through some changes including their relationship with Mercedes Benz and in 2003 the Chrysler relationship was dissolved. Mitsubishi is still selling vehicles in the United States, but they have stopped production in the U.S. because of lagging sales as of 2015. Mitsubishi has pledged to revitalize the company and the brand with new and exciting models. Take a look at the Mitsubishi brochures and sales information below and keep your eye open for the next hot vehicle from the Three Diamonds.